You never go to work anticipating an injury. When one happens, you’re left wondering what went wrong and how you can fix it. If you’re like many people, you feel alone and fearful of your future after a workplace injury. Your boss starts to distance himself and your insurance adjuster interrogates you non-stop. The pain you’re experiencing becomes exponentially worse and you wonder if there is anyone else who has gone through something similar before. When office politics take a wrong turn, you could find yourself seriously injured by deliberate violence from your coworker. This deliberate violence could hurt you physically, emotionally, and financially. Typing for extended periods of time often causes carpal tunnel syndrome. Lifting heavy boxes time and time again can cause a bad back. There are numerous ways the repetitive motions in your job can lead to a serious injury. No matter how closely you follow safety protocols, accidents happen. Whether there’s an error with the machine, a coworker makes a devastating mistake, or your clothing gets trapped by moving parts, you could get severe injuries by getting entangled or hurt by heavy machinery. 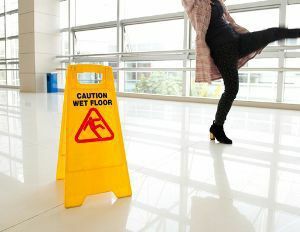 Whether you slip and fall or fall from a high location, a fall can do serious damage. These are among the commonest types of injuries and some of the most devastating. Perhaps you’re not the one who falls. Perhaps something falls on you, causing you serious damage. Wearing hard hats can help minimize the harm caused by falling objects, but even those don’t always offer enough protection. There are numerous ways injuries can happen in any type of job. No matter whether you work behind a desk or performing manual labor, you are at risk of injury.